« Cyber Week Discount is here. Get Started TODAY for FREE! MachPanel v6.0 BUILD 37, Now Available! 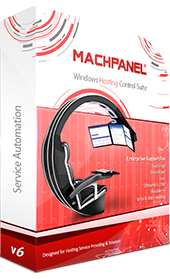 We at MachSol Inc., are pleased to announce the immediate availability of the latest build of MachPanel Provisioning System (Complete SaaS & Traditional Hosting Windows Control Panel). Latest build MachPanel v6.0 Build 37 includes an array of new features and performance improvements alongside bug fixes. This entry was posted on Tuesday, November 27th, 2018 at 11:42 am	and is filed under Announcements. You can follow any responses to this entry through the RSS 2.0 feed. Both comments and pings are currently closed.